Neodymium magnets in all shapes and sizes! 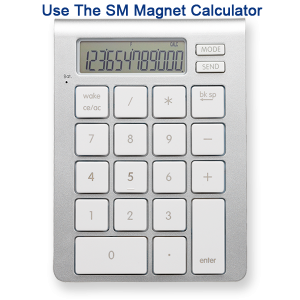 Standard magnets in many shapes, sizes, and grades of neodymium material are listed here.We have a wide variety of strong neodymium magnets in stock, ready to ship. Ordering stock magnets is easy. Please find the accurate magnet material, shape and dimension below and we will be happy to provide the detailings for any magnet you may need that meets the size requirements listed below.